Zero-G! Lightspeed! Mass Master! Energizer! 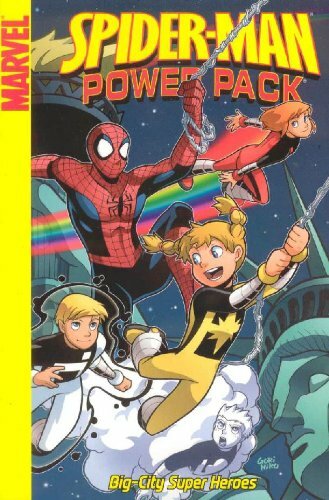 Together, they are Marvel's youngest super heroes: Power Pack! When the Power family returns to New York for another exciting adventure, it isn't long before our super siblings find themselves fighting side-by-side with everyone's favorite wall-crawler, the Amazing Spider-Man! Featuring the villainy of Venom, the Sandman, the Vulture and more! Collects Spider-Man and Power Pack #1-4.